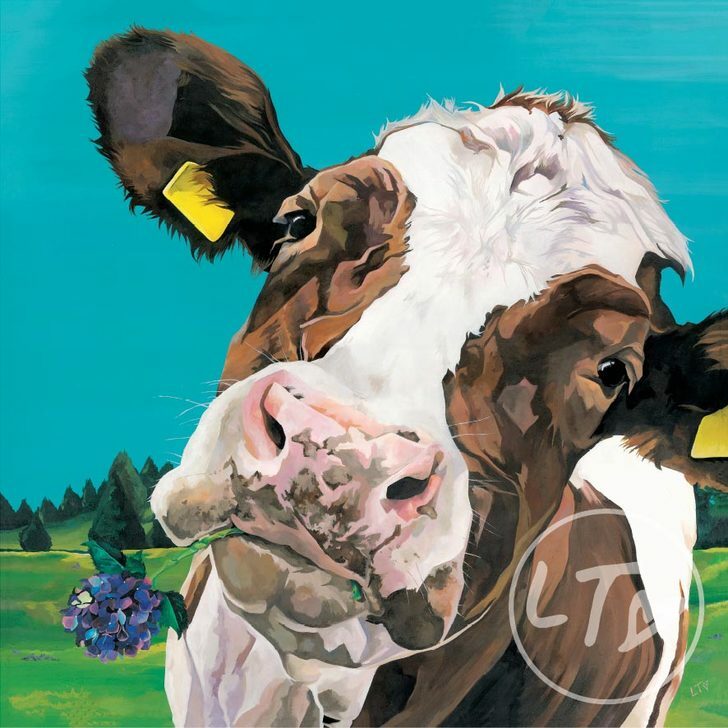 This vibrant portrait of a dairy cow picking flowers is a great addition to any country kitchen. I like the way it looks as if Tilly’s almost passing it through the window to you! 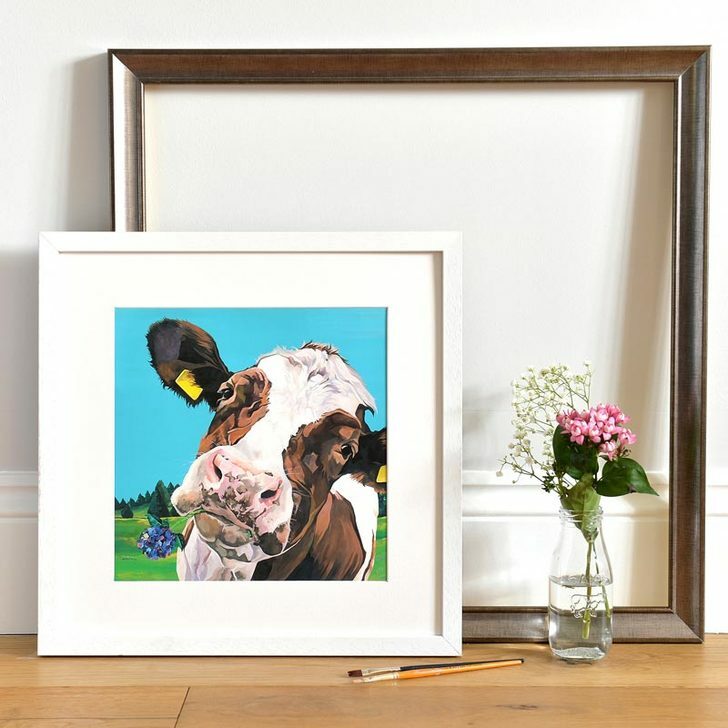 She makes a perfect gift for avid gardeners, or a wonderfully different Mother's Day or anniversary gift. Proudly made in the U.K. Please note all prints are sold unframed. Frames shown are for illustrative purposes only.